Darren Lynch, MD received his medical degree from Georgetown University, followed by a 3-year family practice residency at York Hospital. After several years in private practice and becoming increasingly frustrated by the limitations of conventional medicine, he entered an Integrative Medicine Fellowship at the Continuum Center for Health and Healing in New York City, where he received training in a wide range of complementary and alternative healing modalities. He has published research articles in Alternative Medicine Alerts and Alternative Therapies in Health and Medicine. Dr. Lynch practices medicine from a Body/Mind/Spirit, patient-centered model of healing. He treats therapeutic relationships as partnerships in which doctor and patient decide together the path by which each patient may find optimal health. He seeks to find the underlying cause for illness and in doing so, embrace wellness. He treats patients of all ages and welcomes the opportunity to tackle a wide range of medical problems. 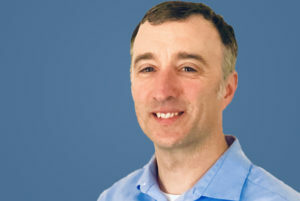 Dr. Lynch is board certified in Family Practice and Integrative Medicine. He is a member of the American Academy of Family Physicians and the Institute of Functional Medicine. He is a soccer and downhill skiing enthusiast, and enjoys hiking and spending time with his family.